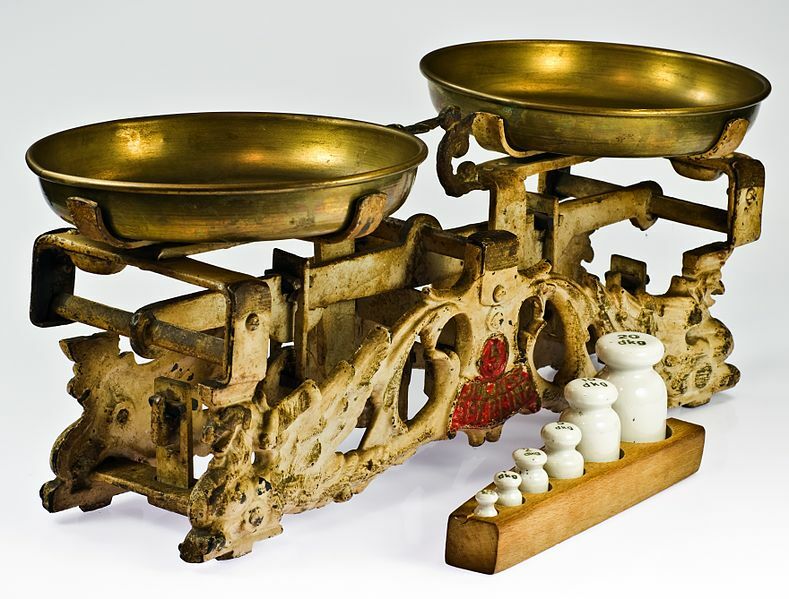 “Old two pan balance” image from Nikodem Nijaki at Wikimedia Commons. Used by permission. Microsoft Word is a complicated program that is difficult to use well. Word-processing programs like Word conflate composition with typesetting. They work by having you specify how a document should look, not how it is structured. A classic example is section headings. In a typical markup language, you specify that something is a heading by marking it as a heading. In a word-processing program you might specify that something is a heading by increasing the font size and making it bold. Yes, Word has “paragraph styles”, and some people sometimes use them more or less properly, if you can figure out how. But most people don’t, or don’t do so consistently, and the resultant chaos has been well documented. It has led to a whole industry of people who specialize in massaging Word files into some semblance of consistency. Word-processing program file formats have a tendency to change. Word itself has gone through multiple incompatible file formats in the last decades, one every couple of years. Over time, you have to keep up with the latest version of the software to do anything at all with a new document, but updating your software may well mean that old documents are no longer identically rendered. With Markdown, no software is necessary to read documents. They are just plain text files with relatively intuitive markings, and the underlying file format (UTF-8 née ASCII) is backward compatible to 1963. Further, typesetting documents in Markdown to get the “nice” version is based on free and open-source software (markdown, pandoc) and built on other longstanding open source standards (LaTeX, BibTeX). Microsoft Word does a generally poor job of typesetting, as exemplified by hyphenation, kerning, mathematical typesetting. This shouldn’t be surprising, since the whole premise of a word-processing program means that the same interface must handle both the specification and typesetting in real-time, a recipe for having to make compromises. Because Microsoft Word’s file format is effectively proprietary, users are locked in to a single software provider for any and all functionality. The file formats are so complicated that alternative implementations are effectively impossible. The solution is to use a markup format that allows specification of the document (providing its logical structure) separate from the typesetting of that document. Your document is specified – that is, generated and stored – as straight text. Any formatting issues are handled not by changing the formatting directly via a graphical user interface but by specifying the formatting textually using a specific textual notation. For instance, in the HTML markup language, a word or phrase that should be emphasized is textually indicated by surrounding it with <em>…</em>. HTML and other powerful markup formats like LaTeX and various XML formats carry relatively large overheads. They are complex to learn and difficult to read. (Typing raw XML is nobody’s idea of fun.) Ideally, we would want a markup format to be lightweight, that is, simple, portable, and human-readable even in its raw state. suffices. Alternatively, there are many editing programs that allow entering, editing, and typesetting Markdown. I sometimes use Byword. In fact, I’m using it now. Basic Markdown, sufficient for the vast majority of non-mathematical scholarly writing, is dead simple to learn and remember, because the markup notations were designed to mimic the kinds of textual conventions that people are used to – asterisks for emphasis and for indicating bulleted items, for instance. The coverage of this basic part of Markdown includes: emphasis, section structure, block quotes, bulleted and numbered lists, simple tables, and footnotes. Markdown is designed to be readable and the specified format understandable even in its plain text form, unlike heavier weight markup languages such as HTML. Markdown is well supported by a large ecology of software systems for entering, previewing, converting, typesetting, and collaboratively editing documents. The document requires nontrivial mathematical typesetting. In that case, you’re probably better off using LaTeX. Anyone writing a lot of mathematics has given up word processors long ago and ought to know LaTeX anyway. Still, I’ll often do a first draft in Markdown with LaTeX for the math-y bits. Pandoc allows LaTeX to be included within a Markdown file (as I’ve done above), and preserves the LaTeX markup when converting the Markdown to LaTeX. From there, it can be typeset with LaTeX. Microsoft Word would certainly not be appropriate for this case. The document requires typesetting with highly refined or specialized aspects. I’d probably go with LaTeX here too, though desktop publishing software (InDesign) is also appropriate if there’s little or no mathematical typesetting required. Microsoft Word would not be appropriate for this case either. Some have proposed that we need a special lightweight markup language for scholars. But Markdown is sufficiently close, and has such a strong community of support and software infrastructure, that it is more than sufficient for the time being. Further development would of course be helpful, so long as the urge to add “features” doesn’t overwhelm its core simplicity. I have a hidden agenda. Markdown is sufficient for the bulk of cases of composing scholarly articles, and simple enough to learn that academics might actually use it. Markdown documents are also typesettable according to a separate specification of document style, and retargetable to multiple output formats (PDF, HTML, etc. ).2 Thus, Markdown could be used as the production file format for scholarly journals, which would eliminate the need for converting between the authors’ manuscript version and the publishers internal format, with all the concomitant errors that process is prone to produce. Even better, there is a new breed of collaborative web-based document editing tools being developed that use Markdown as their core file format, tools like Draft and Authorea. They provide multi-author editing, versioning, version comparison, and merging. These tools could constitute the system by which scholarly articles are written, collaborated on, revised, copyedited, and moved to the journal production process, generating efficiencies for a huge range of journals, efficiencies that we’ve enjoyed in computer science and mathematics for years. As Rob Walsh of ScholasticaHQ says, “One of the biggest bottlenecks in Open Access publishing is typesetting. It shouldn’t be.” A production ecology built around Markdown could be the solution.